Which movies and TV specials should you watch this holiday season? WASHINGTON — There’s officially just one week remaining until Christmas Day! 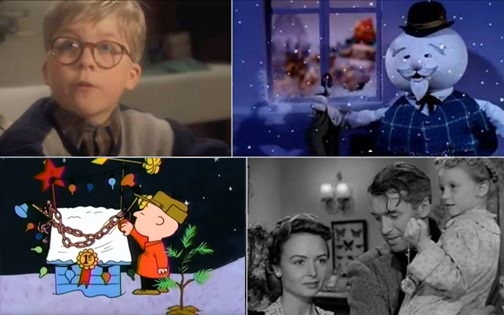 Which movies and TV specials should you watch to help put you in the holiday spirit? Before we get to the Top 25 countdown, let’s settle some age-old questions and raging debates. To start with the obvious, “It’s a Wonderful Life” and “Miracle on 34th Street” are undisputed classics. Both earn their reputations as must-see masterpieces for their combination of magical-realism themes, Americana values and inspirational portraits of the human spirit. Most overrated? “Love Actually.” Parts are pure gold, but other parts drag. Martin Freeman’s sexcapade subplot makes for an awkward holiday rental with the family, while Mariah Carey’s song “All I Want for Christmas is You” pales in comparison to Vince Vance & the Valiants. Most underrated? “Elf” and “The Santa Clause.” Older generations continue to overlook the looming all-time powerhouses of these instant classics beloved by Xennials and Millennials. With all due respect to Bill Murray and George C. Scott, the best version of Charles Dickens’ “A Christmas Carol” will always be the 1951 black-and-white British film starring Alastair Sim. Forget the Brat Pack, John Hughes’ lasting legacy will be his holiday trilogy of “Planes, Trains & Automobiles” (Thanksgiving), “Home Alone” (Christmas) and “Christmas Vacation” (Christmas), whose holiday themes will stand the test of time over the outdated mores of ’80s teenagers. And on Christmas Day, hide the remote for 24 straight hours of “A Christmas Story,” as Jean Shepherd nostalgically narrates more pop culture quotables than any other holiday movie. As for television, we used to have to wait a full year to watch our favorite TV specials (or hit record on the VCR). Today, the beauty of the streaming era is that they’re all readily available. And for the extra young at heart, I adore Jim Henson’s “A Muppet Family Christmas” (“Watch out for the icy patch!”) and “Christmas Eve on Sesame Street” (“Keep Christmas with you”).